The risk of frostbite is real. Wintertime walks with your pet can be a challenge, but with these winter dog walking tips you can keep everyone safe. Lots of pups suffer foot problems associated with severe winter weather. You can avoid some of these problems with a big mug of common sense and savvy measures of prevention. In this article, I’ll offer a few important winter dog walking tips. Not all winter weather requires the same safeguards, and not all dogs are the same when it comes to what they can tolerate. I took a non-scientific poll of my professional dog walker friends in NYC (you know, those people walking 6 dogs at a time), and the word on the street is simple: Some dogs love the cold and the snow — and some dogs hate it. And booties? People and pooches hate donning and doffing them, but they may be necessary at times. Many dogs do fine for average, moderate walks in cold, dry weather, when the temps are at least 15 degrees or so. But get near that 10 degree or below-zero mark? Most dogs get cold quickly. 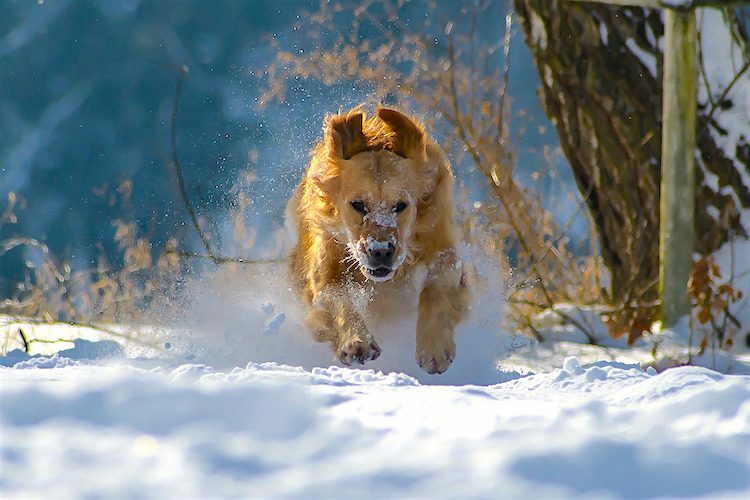 Most dogs cannot walk around on severely cold ground for longer than 15 minutes or so without foot gear. Your dog usually lets you know by picking their feet up in discomfort, shivering or simply stopping in their tracks. Toenails are at greater risk for splitting or cracking when they hit frozen ground or ice. Keep toenails trimmed as short as possible in winter. Although injury to toenails cannot always be prevented, short nails are less prone to injury. A wet, cold dog is at more risk for discomfort and danger than a dry, cold dog. If the fur between the toes gets frozen, pain and frostbite lesions can occur. 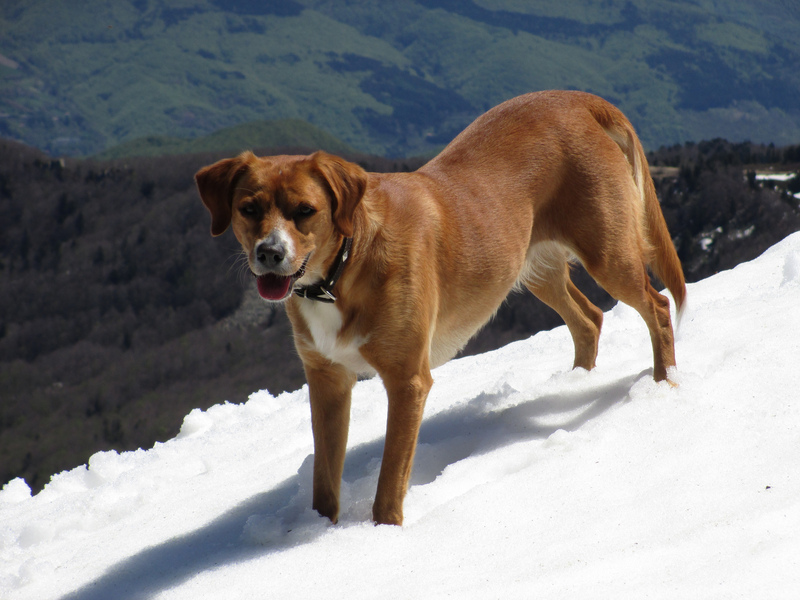 Paws, ear tips and tail are most susceptible to damage from frostbite. Lesions are not obvious, often for several days. Dog coats and sweaters do not cover ears and tail tips, so common sense must prevail. For snow balls on feet, get the dog inside right away and gently try to remove the snow with a towel. If the dog was out for just a short time and there is no risk of frostbite, you can use warm water to “defrost” the paws once inside. Dry thoroughly. Keep feet trimmed in winter on breeds with furry feet. Booties are worth the trouble on longhaired breeds with untrimmed feet. Look for discoloration, deep cracks, fissures or inflammatory lesions on pads. If a wound is obvious, or if your pet is limping, a veterinary visit is advised. Home care involves cleansing the foot and keeping it protected. Pad cream and balm can be of help before injury, but these may not be the right choice if wounds already exist. Get advice from your veterinarian. Ice melt products can be harmful on contact or if ingested. If not using booties and your dog is walking on treated pavement, rinse and dry feet once inside — before the pet can lick the residue off the pads. For your own outdoor areas, use a non-toxic ice melt product. Many parents don’t notice a broken nail until the dog begins limping or licking the area incessantly, causing more infection at the sight of the nail injury. An injured nail should be treated by your veterinarian. Frozen, cold ground is a risk factor for sprains and strains. If your dog is pounding their feet on the frozen tundra, sprains can occur more readily and be more severe than when the ground is softer. Bounding in deep snow drifts is another risk for injury. Pulling legs up and down out of deep snow can cause injury to feet and joints. I see lots of torn cruciate ligaments in winter due to dogs masquerading as snow plows. Slipping on ice is also a recipe for joint injury. I went ice skating with a bunch of dogs last week and saw a bunch of splayed legs. This can be tough on all joints, particularly hips and knees. Holding a foot up, shivering, staying by the house, stopping on a walk and refusing to continue? This means your dog is telling you it’s time to go inside for some hot dog food. Listen to them. Shorthaired dogs have a harder time staying warm. 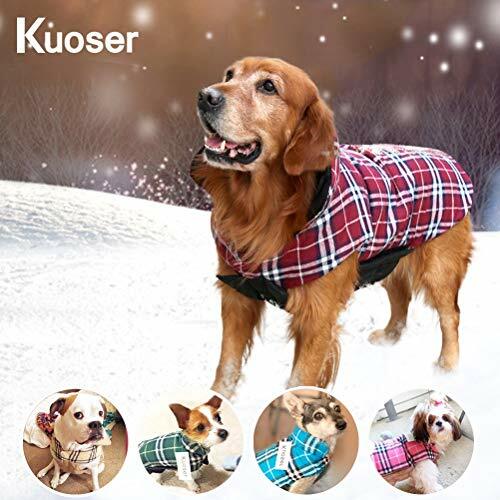 Canine coats or sweaters may be necessary and booties helpful. 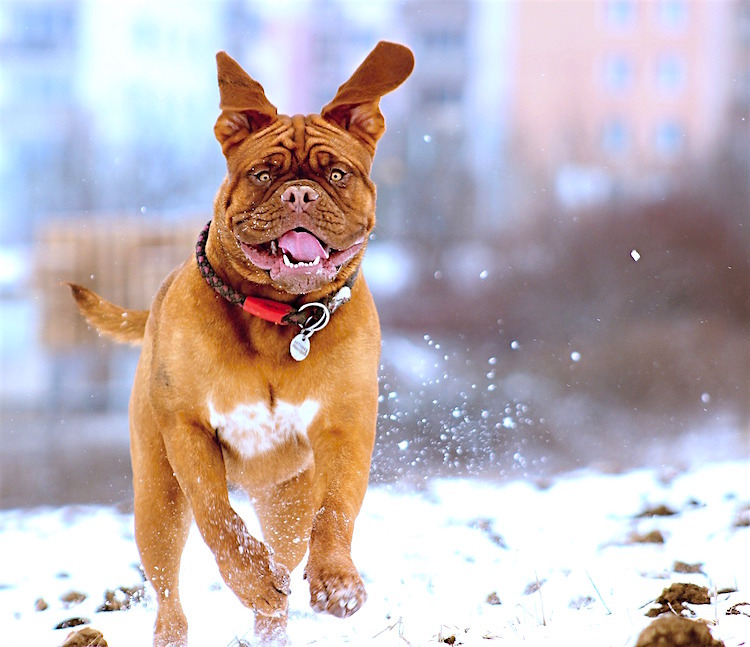 Dogs with minimal body fat and smaller, light-bodied breeds benefit from coats and limited time outside in cold weather. The very young and the old get cold more easily. House-training a puppy in severe weather is a challenge. The difficulty of training in winter is a good deterrent for one of my least favorite ideas: the “Christmas” puppy. Watch geriatric animals in the cold. Their aging joints and inability to move quickly make cold weather a stress on their bodies. Immune disorders, metabolic disease, arthritis — just to name a few — make your dog less resilient in cold weather. Also, take care with dogs suffering from endocrine disorders like Cushing’s or hypothyroidism and autoimmune disorders that affect the skin and coat. What your dog is used to, how athletic they are, where they normally live and their personality all dictate how well they will do with winter challenges. I recently visited relatives in upstate New York in -10 degree weather. While my tough little Northeast dog did OK for about 5 minutes outside on the subzero tundra, her visiting Florida cousins did not. Even after a quick run into town to find booties, I could not get the little Shih-Tzus to go outside — they were afraid of the snow. No matter the coat type, the best way to keep your dog comfortable during the colder months is to have them inside. To avoid having your dog’s water bowl freeze, use a heated water bowl. Don’t use heat lamps or space heaters — they not only cause a fire hazard, but they can easily burn your dog. Most pet supply stores carry a heated mat for the dog to sleep on. You can place this under a dog house. Note that during the cooler weather, outside dogs may require more food for energy and maintaining adequate body heat. The dog’s hair type is not the only thing to consider when evaluating how your dog will tolerate the cold weather. Even if your dog has thick, Husky-like fur, they may not enjoy the cold weather and will need a dog coat when they go outside. The best way to evaluate your dog’s tolerance is to watch their behavior. If as soon as you open the door to go outside, they turn around and try to go back inside or shiver uncontrollably, they will need a jacket. Find one that suits what you would want to wear in that weather. For example, if it’s fall, they may just need a sweater, but if it’s winter and snowing, they will need a thicker jacket. A dog with a thin single coat may be the most comfortable if they have a few jacket options depending on the weather. When you are walking your dog outside during the snowy months, chunks of ice or snow can get stuck between your dog’s paw pads. If your pet is more tolerant of discomfort, they may not let you know that they are in pain. Clipping the hair between the paw pads will help decrease the amount of ice collecting in the paws. If you have trouble clipping the hairs near the toes, consult a groomer. Salt and de-icers that are put on roads cause paws pads to become dry, chapped and cracked. If the paw pads are painful, the dog will most likely lick the pads that are covered in salt and de-icers — and eating those chemicals can cause vomiting and stomach irritation. To avoid chapped paw pads, buy a paw balm that you apply to the paw pads. This helps strengthen them. If your dog does happen to walk on these chemicals, thoroughly wash the paws with warm water. In the case that your dog will not tolerate coldness on their feet, look for dog boots. These may need some getting used to for the dog. At first you may see a “high-stepping” action, so this will require a bit of training for the dog to accept. No matter what kind of dog you have, be aware that certain dogs will enjoy the cold more than others. Remember to take the proper precautions when venturing outside in the winter and monitor your dog’s tolerance to winter weather. 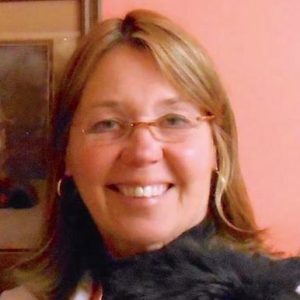 This article on winter dog walking tips was written by a veterinarian, Dr. Debora Lichtenberg, VMD, and dog behaviorist/trainer Clarissa Fallis contributed. This article was last reviewed Jan. 24, 2018.